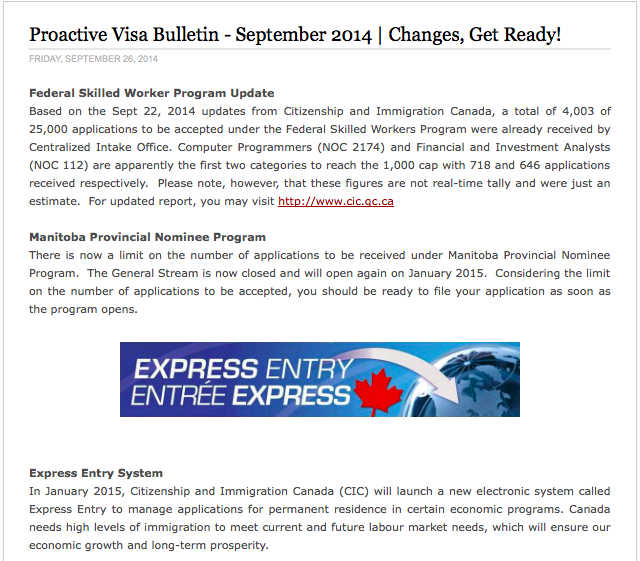 September 2014 Proactive Visa Bulletin is now out! - Gateway to Canada | Canada Immigration Consultancy! September 2014 Proactive Visa Bulletin is now out! Proactive Visa Bulletin - September 2014 is now out! Visit www.proimmigrationaadvisers.com for more details.